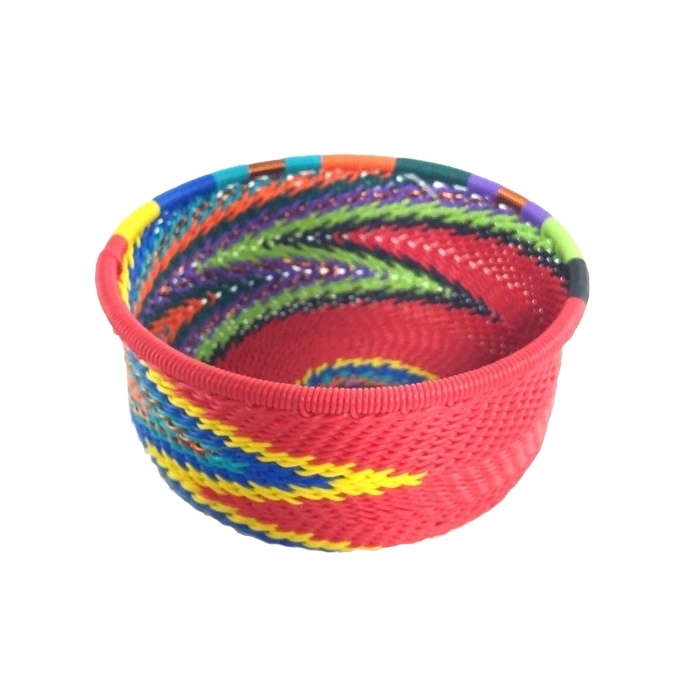 This square basket is woven in South Africa from colorful telephone wire. It’s the perfect size for holding keys and small items. 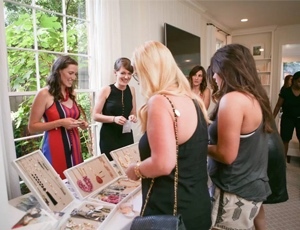 ** Learn more about Bridge for Africa and the artisans who made this product. 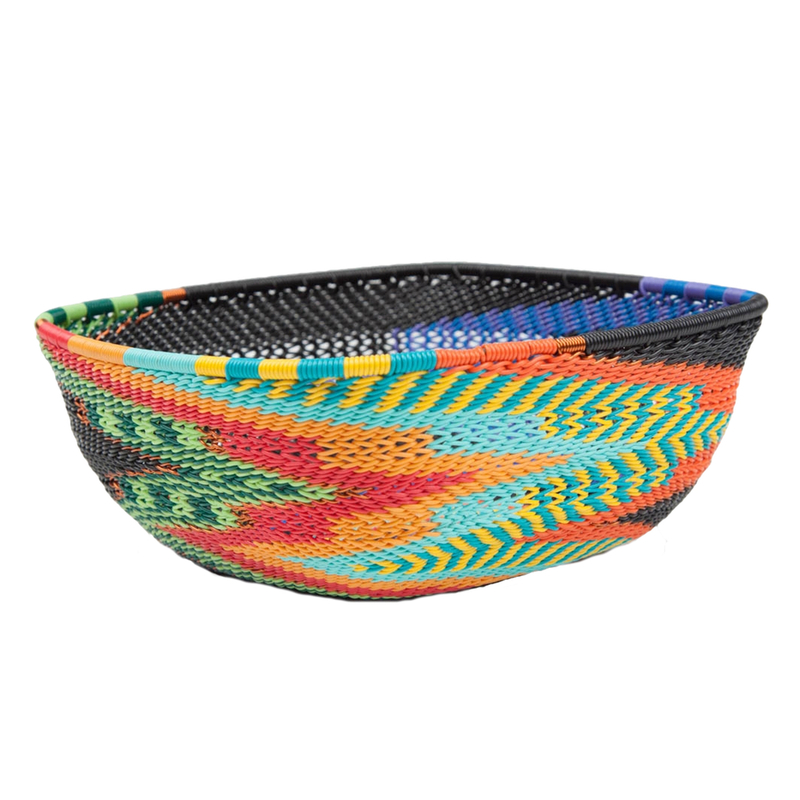 Recycled telephone wire bowls are a modern twist on traditional woven baskets from South Africa. 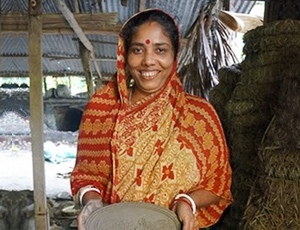 Artisans sit together in small groups, building community and working to make a better future for their families. 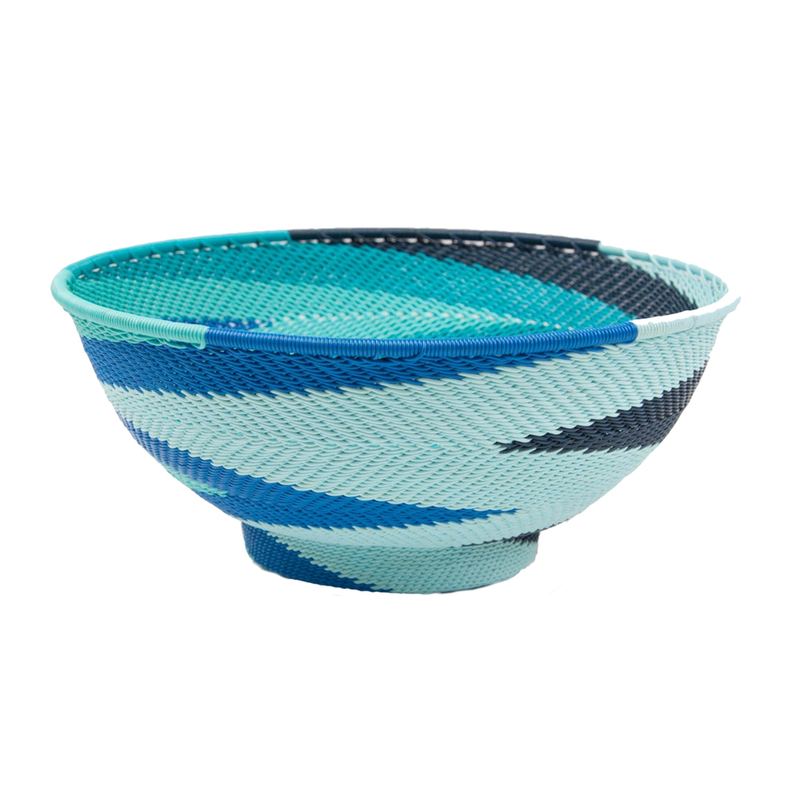 Beautiful oceanic blue telephone wire is skillfully woven into a round bowl with base. Handmade in South Africa. Size: 8" wide, 3.5" deep ** Learn more about Bridge for Africa and the artisans who made this product. 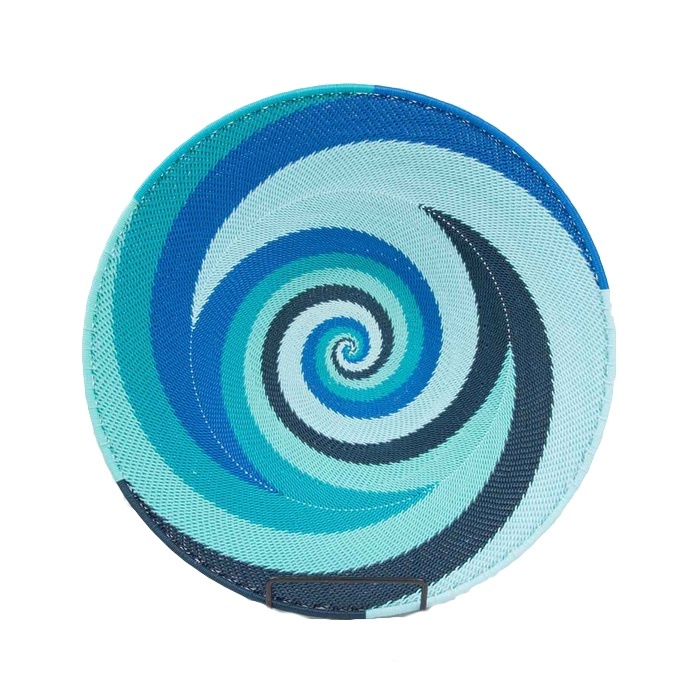 This platter made of shades of blue wire looks lovely on your table or desk, or hang it on the wall as a work of art! Handwoven in South Africa. 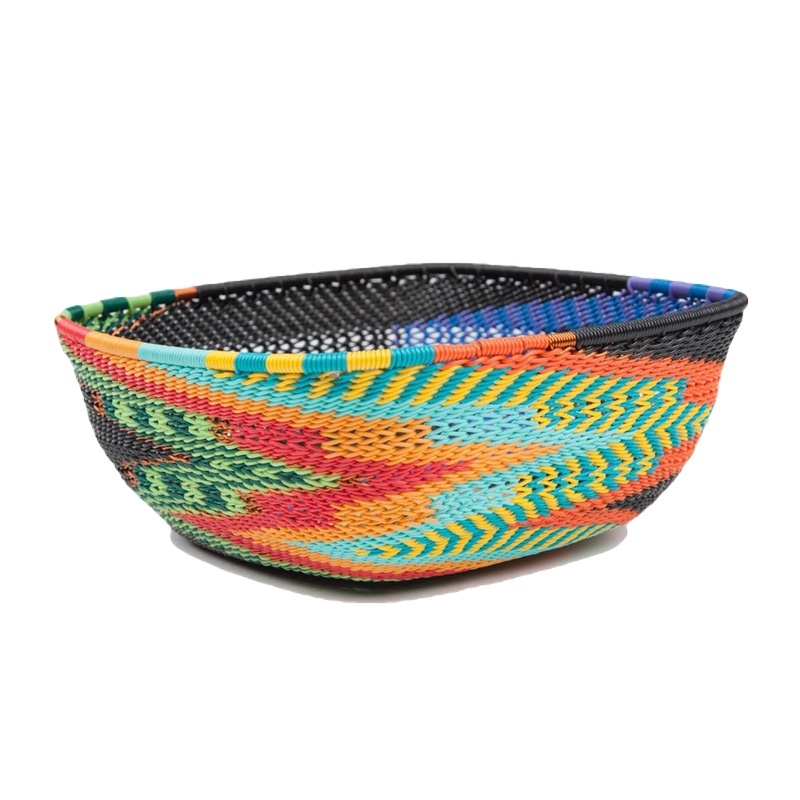 Size: 12" wide ** Learn more about Bridge for Africa and the artisans who made this product. 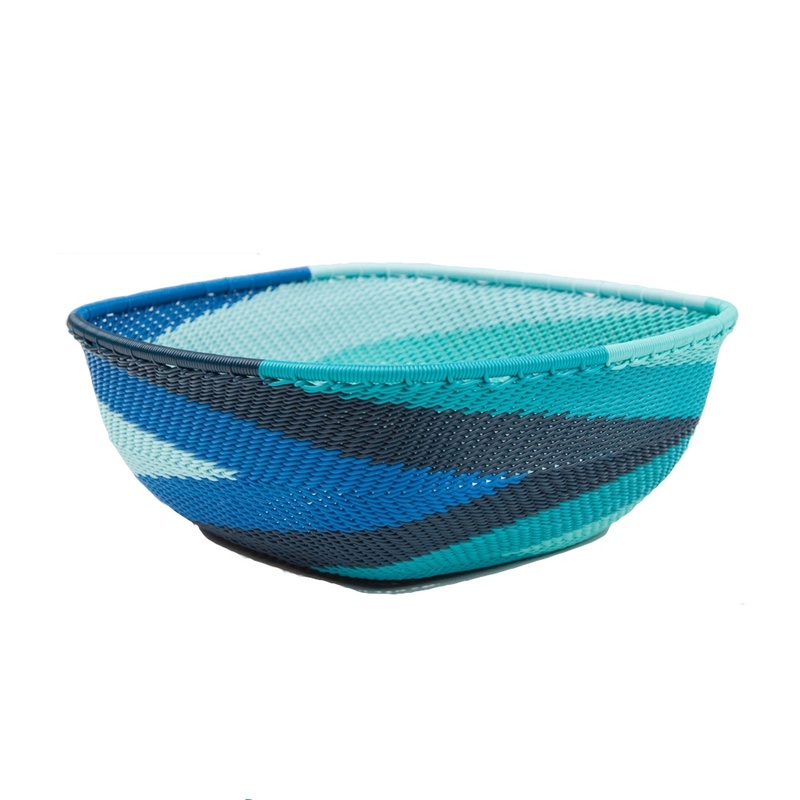 Beautiful oceanic blue telephone wire is skillfully woven into a square bowl. 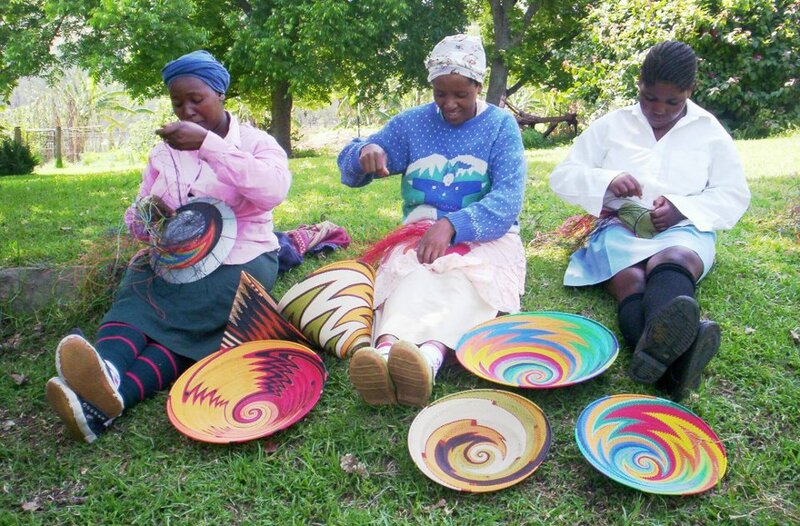 Handmade in South Africa. 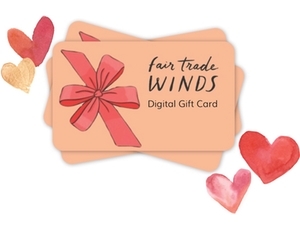 Size: 7" x 2.25" ** Learn more about Bridge for Africa and the artisans who made this product. 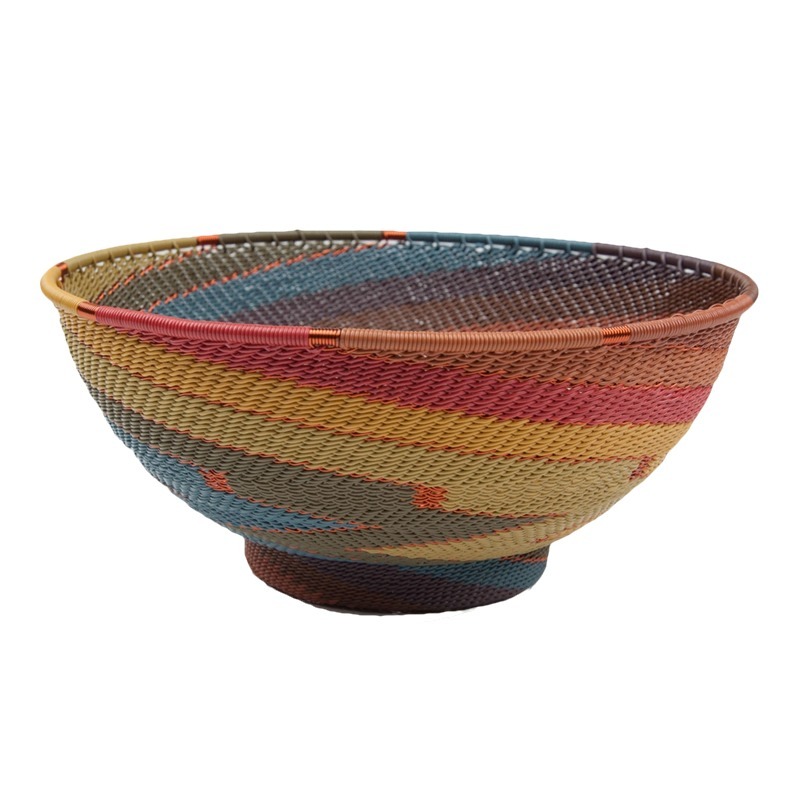 Beautifully painted telephone wire is skillfully woven into a square bowl. Handmade in South Africa. 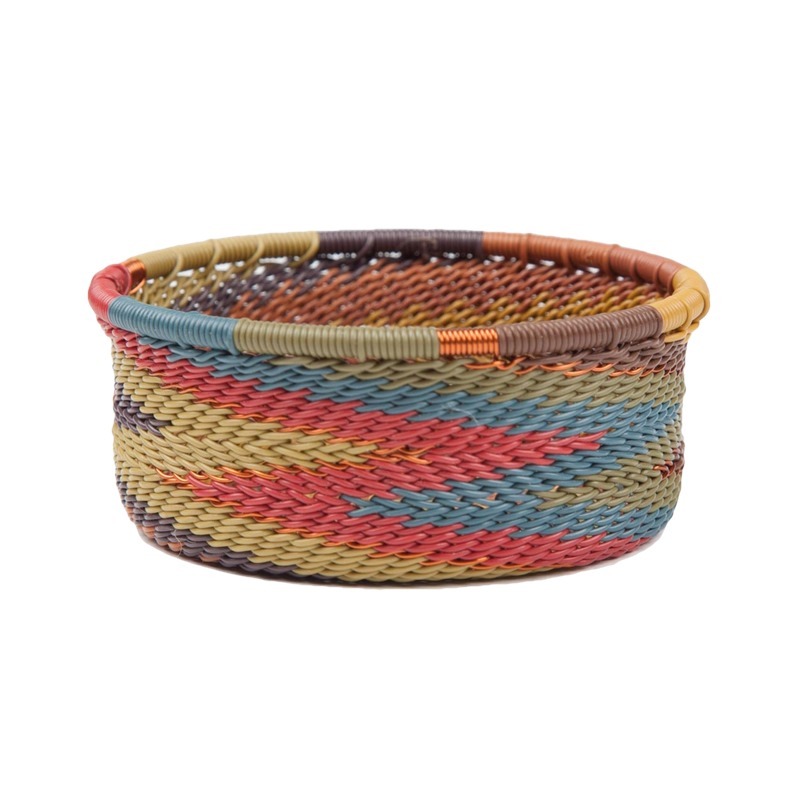 Size: 7" x 2.25" ** Learn more about Bridge for Africa and the artisans who made this product. 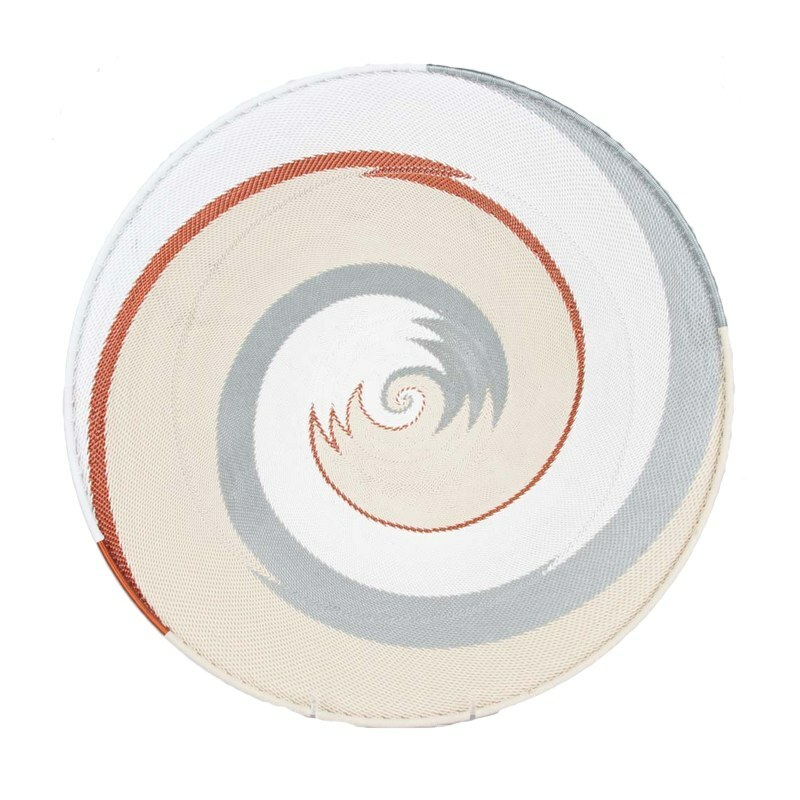 A burst of color spirals inward in this lovely platter made from telephone wire. 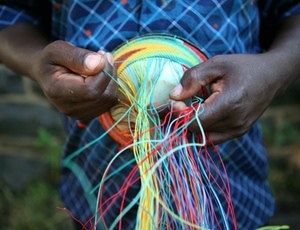 Woven by talented artisans in South Africa. 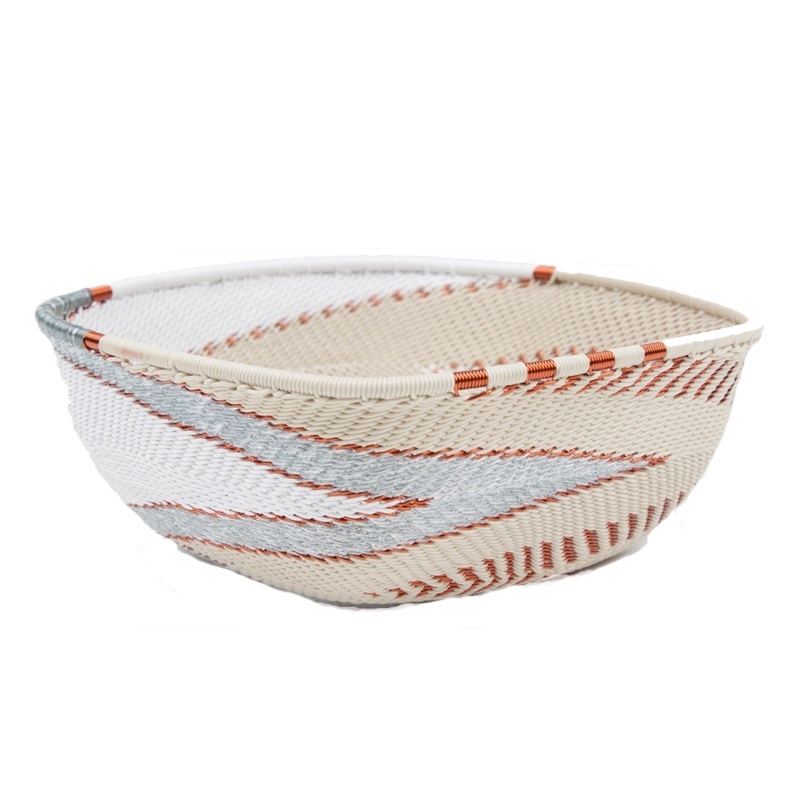 Size: 12" wide ** Learn more about Bridge for Africa and the artisans who made this product. 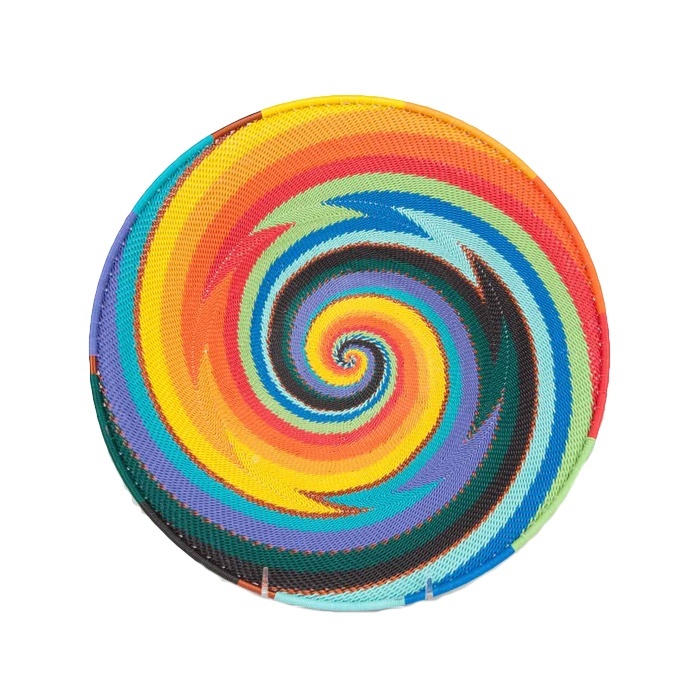 This small platter made of spiraled rainbow wire looks lovely on your table or desk, or hang you may be inspired to hang it on the wall as a work of art! Handwoven in South Africa. 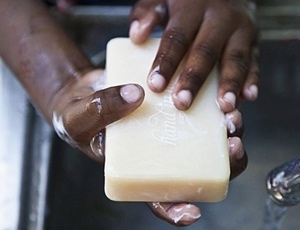 Size: 8" wide ** Learn more about Bridge for Africa and the artisans who made this product. 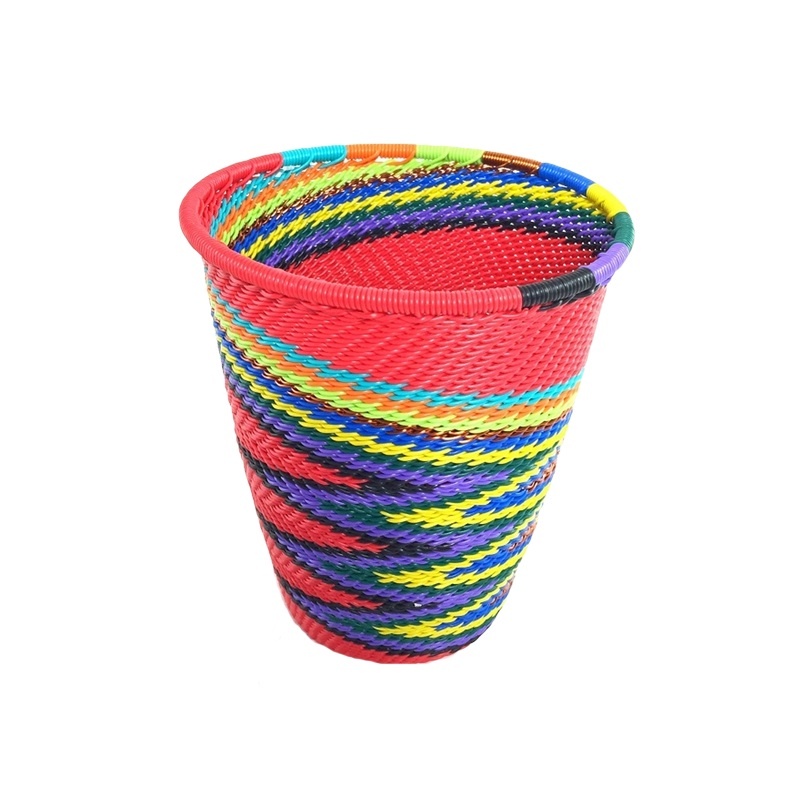 This square basket is woven in South Africa from colorful telephone wire. It's the perfect size for holding keys and small items. 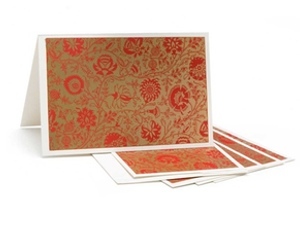 Size: 7" x 2.25" ** Learn more about Bridge for Africa and the artisans who made this product. 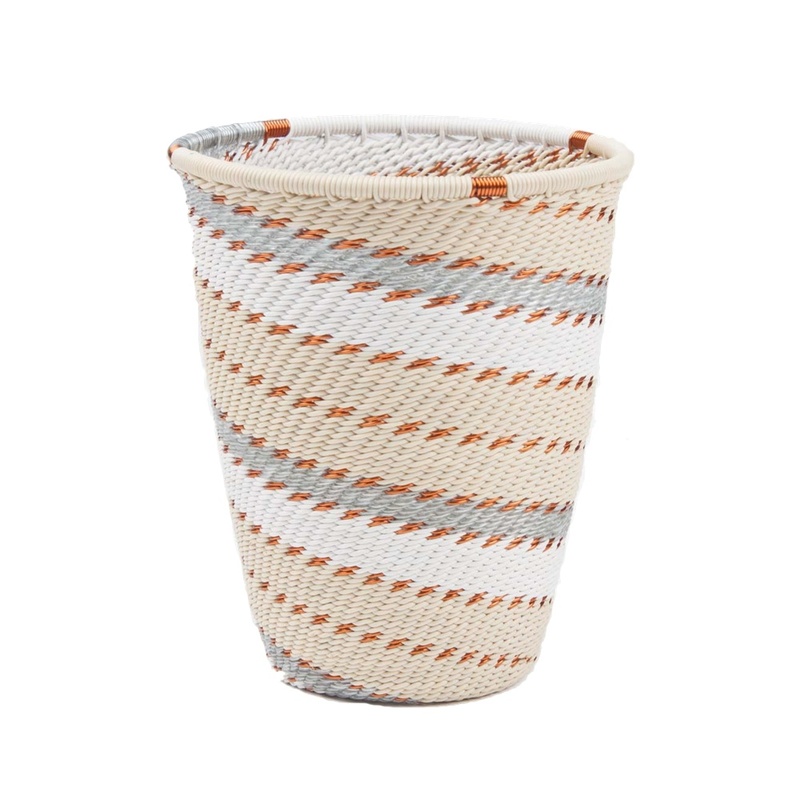 Telephone wire cup woven in beautiful earthen hues that evoke a painted desert scene. Perfect desk accessory to hold your pens!  Handmade in South Africa.  Size: 3.5" wide x 5" tall ** Learn more about Bridge for Africa and the artisans who made this product. 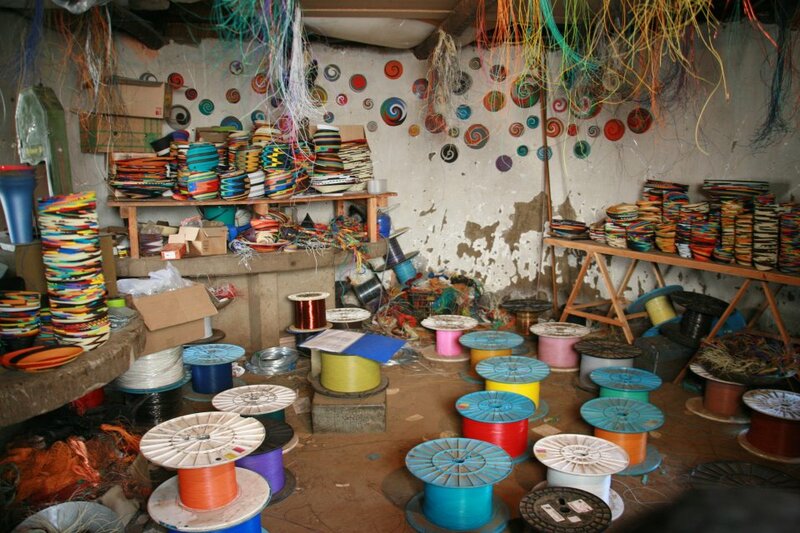 Rich blue, browns, green, red & copper telephone wire is skillfully woven into a round bowl with base. Handmade in South Africa. Size: 8" wide, 3.5" deep ** Learn more about Bridge for Africa and the artisans who made this product. 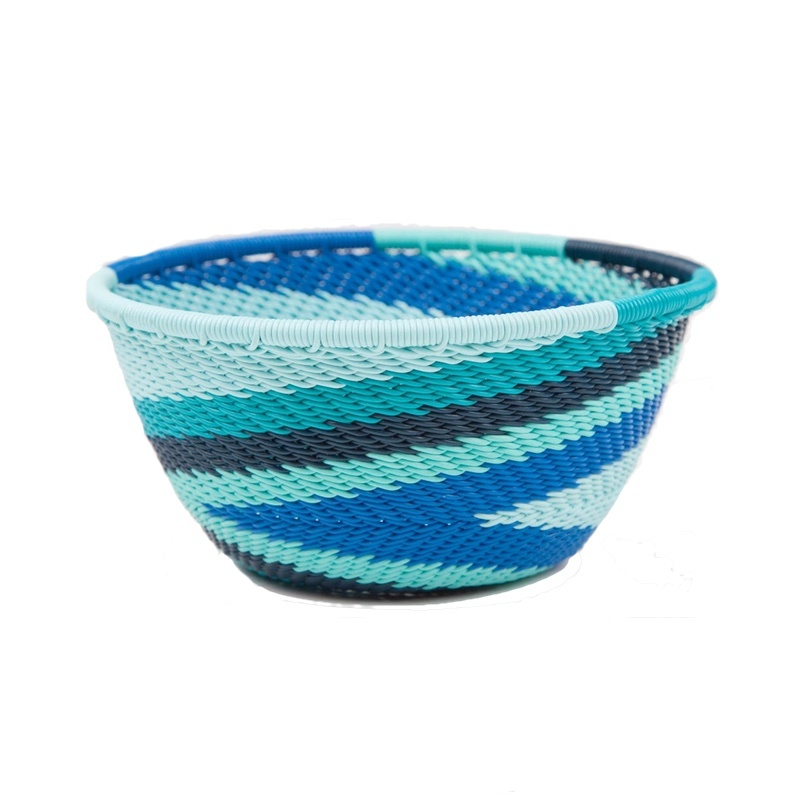 Roughly the size of a can of tuna, this little basket is made from rich blues, browns, green, red & copper telephone wire and is great for holding loose change or paper clips on your desk. Handwoven in South Africa. 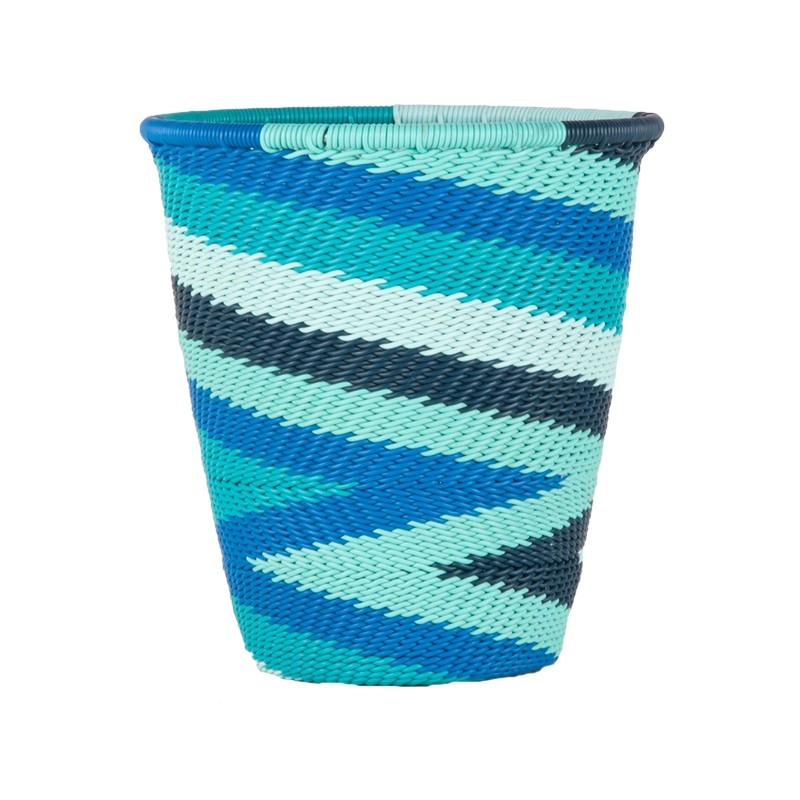 Size: 3.5" wide x 1.3" tall ** Learn more about Bridge for Africa and the artisans who made this product. 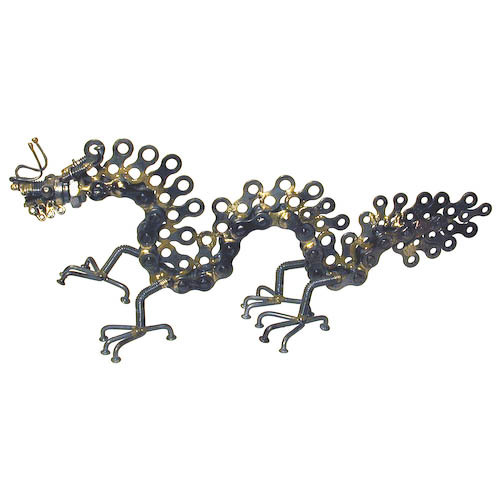 This small platter made of spiraled wire looks lovely on your table or desk, or hang you may be inspired to hang it on the wall as a work of art! Handwoven in South Africa. 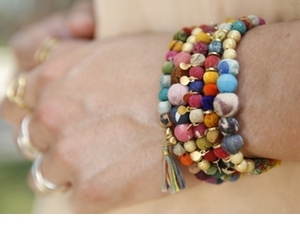 Size: 8" wide ** Learn more about Bridge for Africa and the artisans who made this product. Keep your pens handy on your desk with this telephone wire cup in modern white, silver, beige and copper colors. 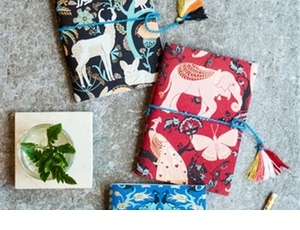 Handmade in South Africa. 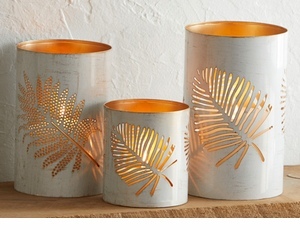 Size: 3.5" wide x 5" tall ** Learn more about Bridge for Africa and the artisans who made this product. 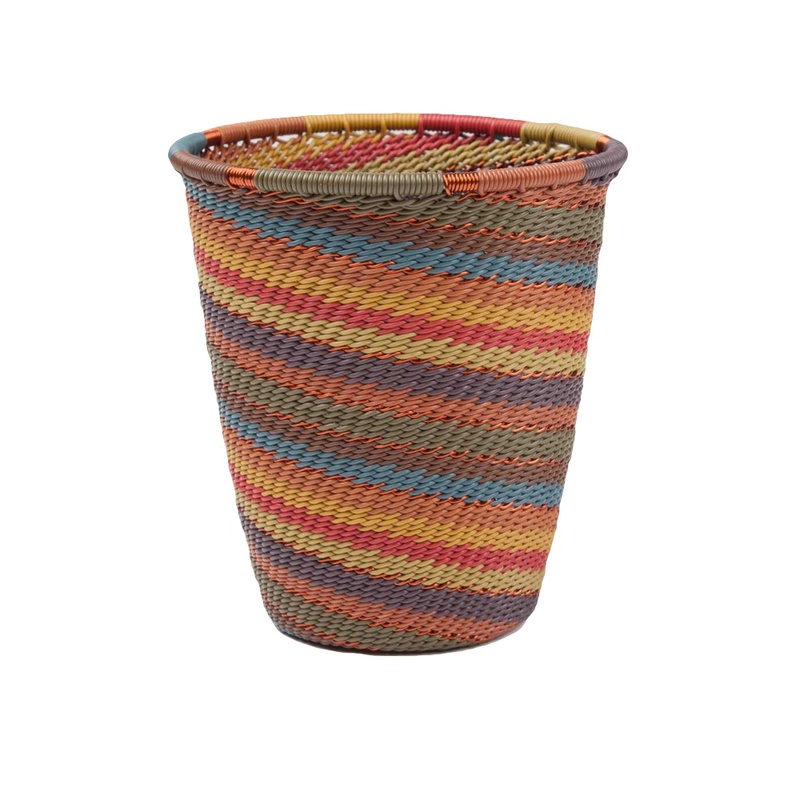 Roughly the size of a can of tuna, this little basket is made from red, black, purple, yellow, green, orange and blue telephone wire and is great for holding loose change or paper clips on your desk. Handwoven in South Africa. 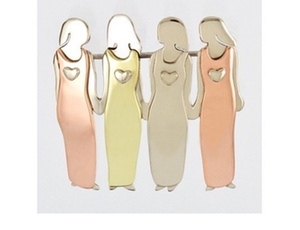 Size: 3.5" wide x 1.3" tall ** Learn more about Bridge for Africa and the artisans who made this product. 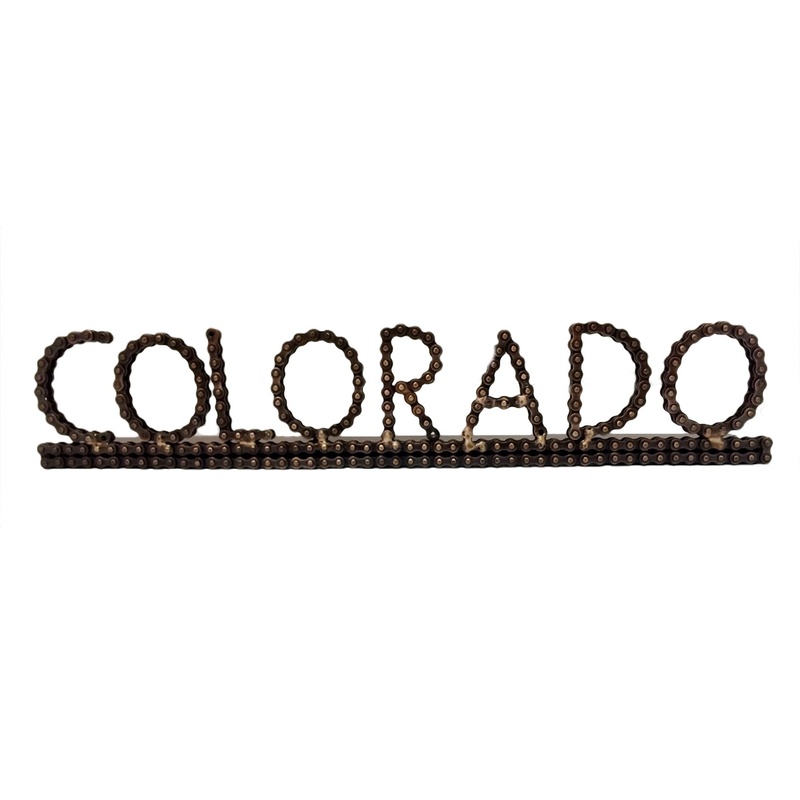 This unique gift is made from recycled bike chain, formed into "COLORADO."  Custom-made in India for our shop. 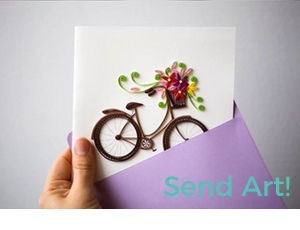 Makes a great gift for cyclists, Colorado-lovers or anyone interested in turning recycling into art!